Traditional cottage design. 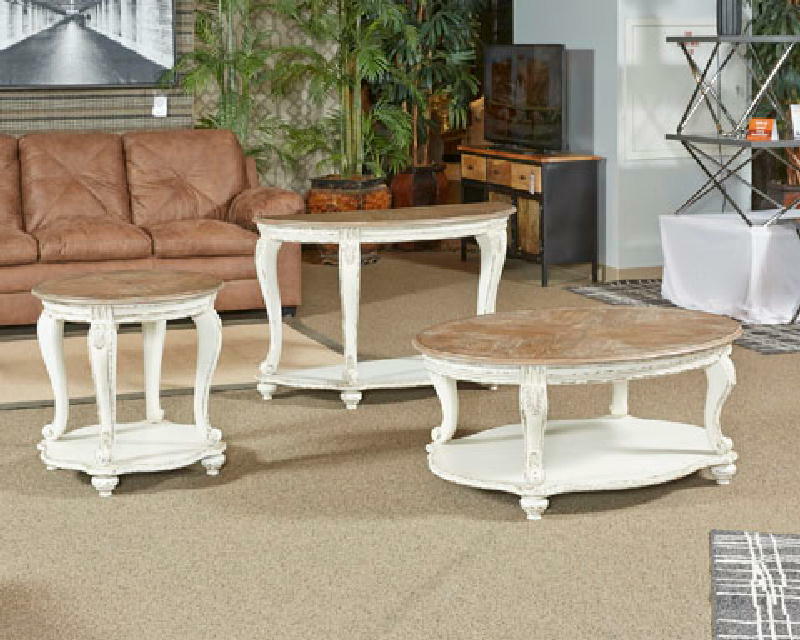 Antiqued two-tone finish featuring chipped white body with distressed wood finished tops. Cocktail table features a lift top, inset drawers with dovetail construction and concealed storage bins. 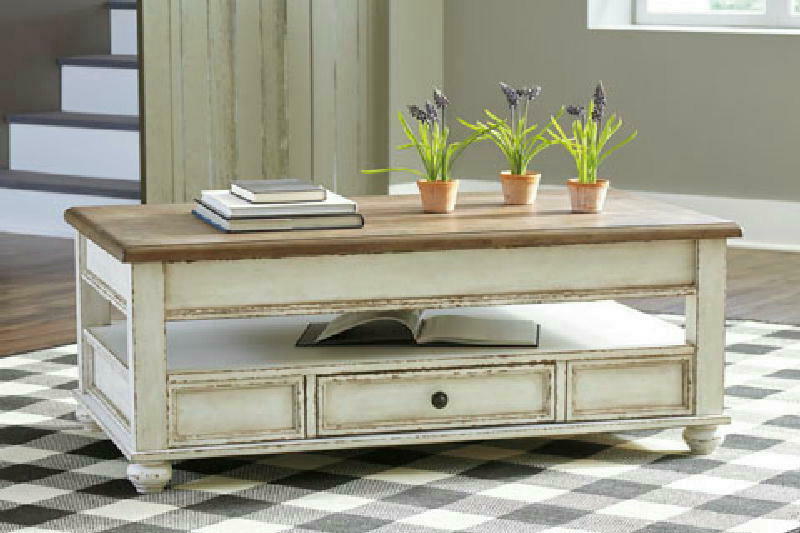 End table equipped with an AC power supply with USB charging ports.